The Funeral for Edna Krabappel. 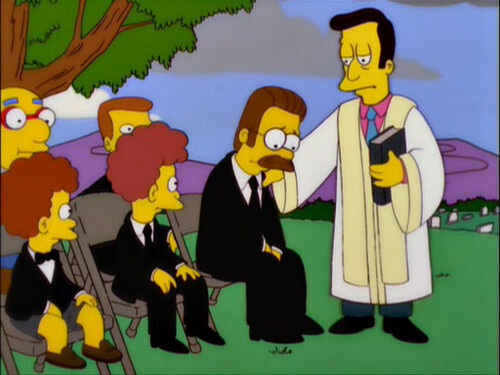 Ned Flanders and his two sons (Todd and Rodd) are at the funeral for Edna Krabappel (Their school teacher and step-Mother). This is a tribute to Marcia Wallace.. Wallpaper and background images in the 심슨 가족 club tagged: photo the simpsons marcia wallace memorial tribute funeral. Edna - noooooooo! This is so sad! Why do Ned´s wives always have to die? !